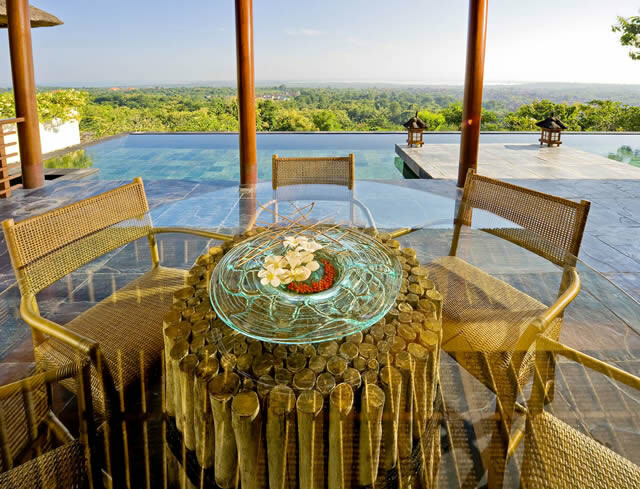 Villa Jimbaran is a luxury private villa set in the Jimbaran hills with striking panoramic views all the way to the coast. 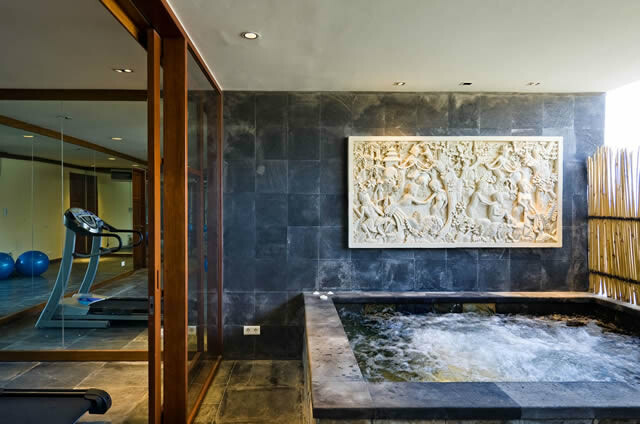 This exquisitely designed villa is laid out across three levels and surrounded by manicured gardens brimming with fragrant frangipani trees and tropical flowers. 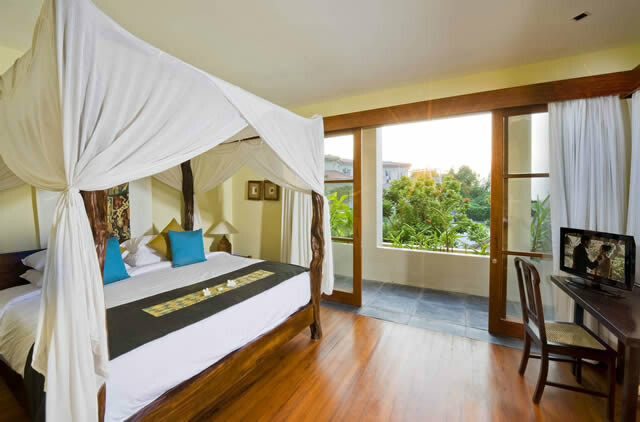 The tiered approach to Villa Jimbaran ensures guests are cocooned in privacy on the hillside, whilst residing just a stone’s throw away from the airport and not far from the bustling nightlife of Bali’s southern coast. 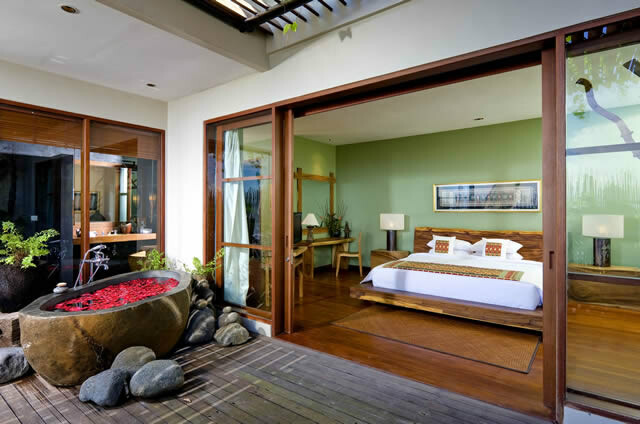 Villa Jimbaran, which was designed by renowned Indonesian architect Popo Danes, has 6 luxurious bedrooms. Each one was individually designed and has been named after one of Indonesia’s islands, with fascinating memorabilia and woven textiles throughout, painstakingly collected by the villa’s owners on their adventures. The result is a home away from home – but far better. 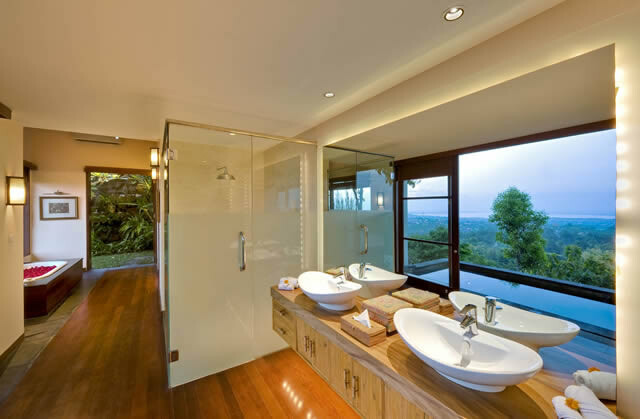 The master suite, which is set on the third and highest floor, has soaring ceilings, an ensuite bathroom, a separate terrace and a private plunge pool suspended above the gardens. 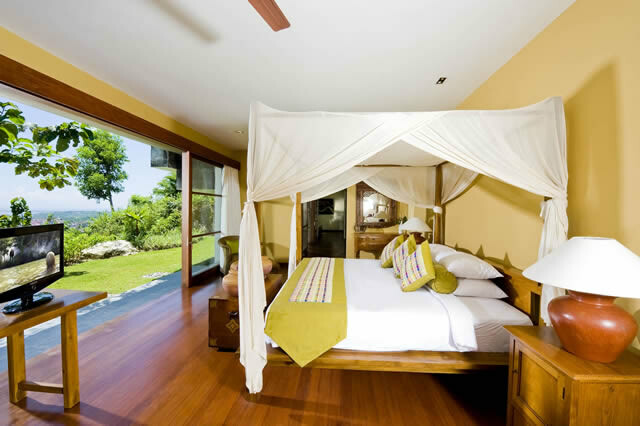 The second floor features 3 additional double bedrooms with ensuite bathrooms, while the lowest level is home to 2 twin bedrooms with ensuite bathrooms opening out onto the tropical gardens. Located on the third level, guests will find the main pavilion area; a breathtaking open air lounge that looks out over the 60m swimming pool, and a dining area set just off the kitchen. Elsewhere, there’s a home cinema, a gym and a spa room, as well as a children’s play area. 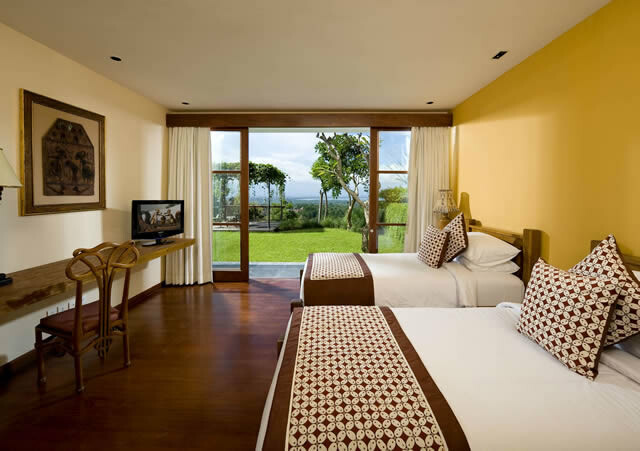 Jimbaran is conveniently located just 10 minutes away from Denpasar international airport – though at Villa Jimbaran, you wouldn’t know it. 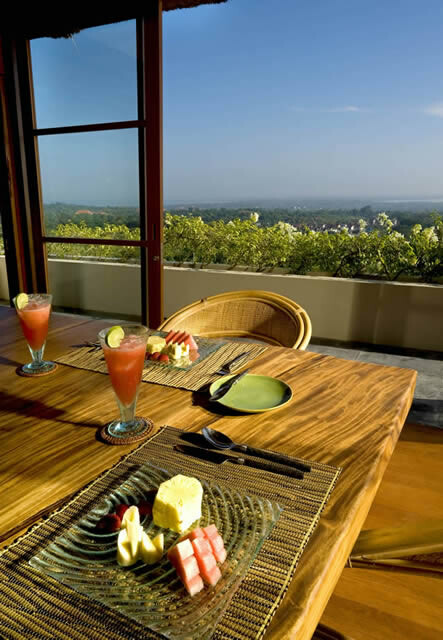 A short downhill drive away, guests will find the white sand beach and calm waters of Jimbaran Bay. A little further south is the rugged Bukit Peninsula where limestone cliffs descend to half-moon coves and the famous sea temple of Uluwatu can be found. Villa Jimbaran’s dedicated driver can take guests wherever they please, be it in search of Seminyak’s great shopping and vibrant nightlife, Ubud’s mystical temples or more active pursuits such as biking, hiking or surfing.